Joris M. Mooij, PhD, Associate Professor, Informatics Institute, University of Amsterdam (the Netherlands), “Validating Causal Discovery Methods” at 11:00 am on Thursday, April 19, 2018, in Rooms 407A/B BAUM, 5607 Baum Blvd., the Offices at Baum. Abstract: Since the pioneering work by Peirce and Fisher, the gold standard for causal discovery is a randomized experiment. An intriguing alternative approach to causal discovery was proposed in the nineties, based on conditional independence patterns in the data. Over the past decades, dozens of causal discovery methods based on that idea have been proposed. These methods clearly work on simulated data when all their assumptions are satisfied. However, demonstrating their usefulness on real data has been a challenge. In this talk, I will discuss some of our recent attempts at validating causal discovery methods on large-scale interventional data sets from molecular biology. I will discuss a micro-array gene expression data set and a mass cytometry data set that seem perfectly suited for validation of causal discovery methods at first sight. As it turns out, however, both causal discovery on these data and the validation of such methods is more challenging than one might think initially. We find that even sophisticated modern causal discovery algorithms are outperformed by simple baselines on these data sets. 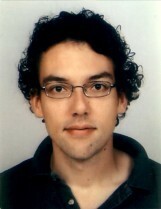 Biography: Joris M. Mooij studied mathematics and physics and received his PhD degree with honors from the Radboud University Nijmegen (the Netherlands) in 2007. His PhD research concerned approximate inference in graphical models. During the next three years, he worked on causal discovery as a postdoc at the Max Planck Institute for Biological Cybernetics in Tübingen (Germany). In 2011 he obtained an NWO VENI grant, which allowed him to do a second postdoc, this time at the Radboud University Nijmegen. In 2013 he became Assistant Professor at the Informatics Institute of the University of Amsterdam (the Netherlands). In the next years, he obtained an NWO VIDI grant and an ERC Starting Grant, allowing him to start his own research group, consisting of 3 PhD students and 2 postdocs, focusing entirely on causal discovery. In 2017 he was promoted to Associate Professor. He has published several international peer-reviewed papers and has won several awards for his work.